802.3x flow control on each port minimizes dropped packets when the port's receiving buffer is full. This gives you a more reliable connection for all of your connected devices. The TEG-MGBSX Mini-GBIC Multi Mode module works with standard Mini-GBIC slots on most switches. This Multi-Mode LC Type module spans distances up to 550m (1,800ft). 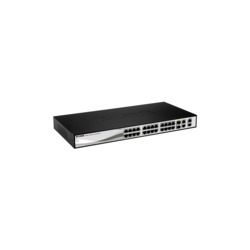 TL-SF1005D 5-port 10/100Mbps Fast Ethernet Switch provides 5 10/100Mbps Auto-Negotiation RJ45 ports. All ports support Auto MDI/MDIX function, eliminating the need for crossover cables or Uplink ports.